In a wide-ranging interview, the Orange County representative speaks with Pacific Standard about climate change, DACA, and where he thinks Arnold Schwarzenegger went wrong. Dana Rohrabacher, the Republican congressman from Orange County, California&apos;s 48th District, is in for the fight of his congressional life. After holding the seat for 29 years, polling shows him neck and neck with Democratic challenger Harley Rouda. Rouda is attempting to flip a seat in a district that&apos;s been reliably red for nearly a century. 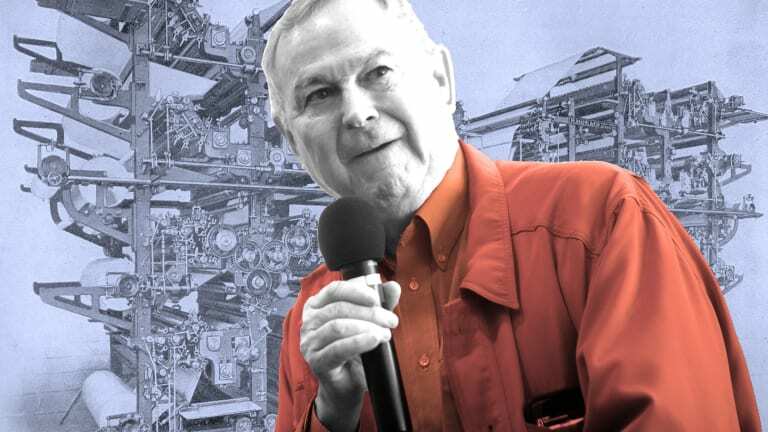 After working as a journalist in Orange County for much of the 1970s, Rohrabacher entered into the political realm in 1976, working as assistant press secretary for Ronald Reagan&apos;s first presidential campaign; he later became a speechwriter for President Reagan. In 1988, he won a seat in the House of Representatives. He&apos;s been there ever since, now on his 15th term. Rohrabacher, who in college performed with a band called The Goldwaters, is known for libertarian tendencies and the unorthodoxy of some of his views: He supports federal legalization of marijuana, believes the United States&apos; adversarial approach to Russia is wrongheaded, and also adamantly denies climate change. 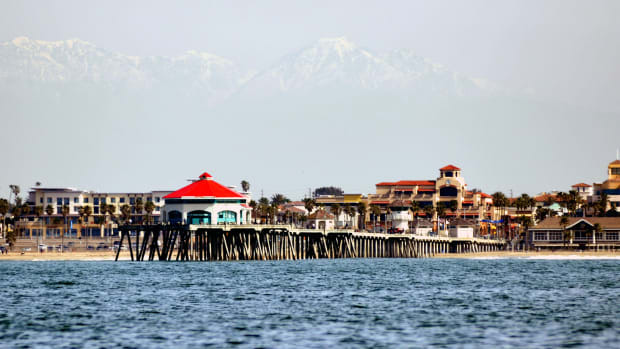 Rohrabacher&apos;s approach to Russia has become a central issue in his re-election campaign, as has his support of President Donald Trump. 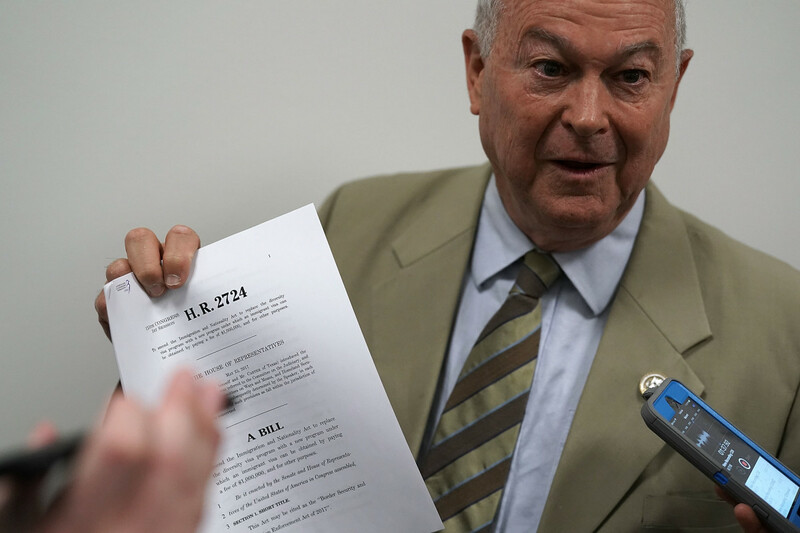 I sat down with Rohrabacher for an extended interview. What interested me most was not the conclusions of his arguments, but how he came to them. In light of the climate of intolerance that is gripping both sides (or perhaps all sides: politics is a many-angled beast) right now, it&apos;s more important than ever to show the process behind the thoughts; we sat for nearly two hours at a coffee shop and Rohrabacher allowed me to ask any questions I wanted. He never refused to answer anything. I&apos;m really interested in your thinking on Russia, especially since you worked for President Reagan. I did, and I lived a life with lots of anti-communism. I came to the conclusion, however, that we weren&apos;t fighting the Russians, that we&apos;re fighting the communists. And that, all along, the Russian people are not our enemies, it&apos;s this communist ideology that wants to superimpose atheistic dictatorships in order to change the way humankind&apos;s inner ... you know, the way we act, what our values are. And I came to realize that is really the enemy. When I went to Afghanistan, during the last couple years of the Reagan administration, I was a special assistant to President Reagan, and I was able to get away with a lot of stuff in terms of getting involved in getting aid to the freedom fighters in Afghanistan and Nicaragua, etc. When I left the White House, I told my Afghan contacts that if I could possibly do it, I would be joining them in at least one battle. If I&apos;d helped to provide them with their weapons, I should at least have the courage to stand beside them. After I got elected here, that&apos;s what I did. I ended up in Afghanistan and we pulverized a Soviet position outside of Jalalabad with about 50 120mm rockets. I don&apos;t know exactly how many Soviet soldiers were killed but there were a number of them, and I had a lot of thoughts about that. That these were ordinary people just like our people who get in the uniform. And that it was communism that was the enemy and we should do everything we can, we have to thwart them when they use their military. We have to do everything we can to defeat them without killing large numbers of Russian people. That&apos;s not the goal. That was sort of a little epiphany you get when you&apos;re engaged with mass killings. So how about Russia today? It&apos;s no longer communist. Russia today is a flawed country. It&apos;s got lots of serious problems, and it&apos;s got flawed government, very flawed government. That&apos;s the downside. The upside is they have had tremendous progress. There are opposition parties in Russia now, there weren&apos;t any opposition parties at all before. They actually have demonstrations, and not everybody gets arrested. Not everybody gets arrested but there&apos;s some pressure on demonstrators. And a typical trick is to label a leading candidate in an opposition party as gay, make a joke out of them. It&apos;s hard for them to get TV time. You mean unlike here, where we&apos;re called Nazis and fascists and pigs? The one thing that gets me about democracy, and about the democratic process, is that so many people in our system, and in democratic systems, are not interested in refuting arguments. I think that&apos;s a wondrous thing when you have people with different ideas and then you figure out what the weak points and strong points are, you figure out what you really believe through that type of dialogue. I can&apos;t tell you how such a significant number of people here, they have someone who disagrees with them, their interest is not in refuting the argument, their interest is in destroying the person. That&apos;s the same way it is in Russia I&apos;m sure. But they have a little bit more power behind it. 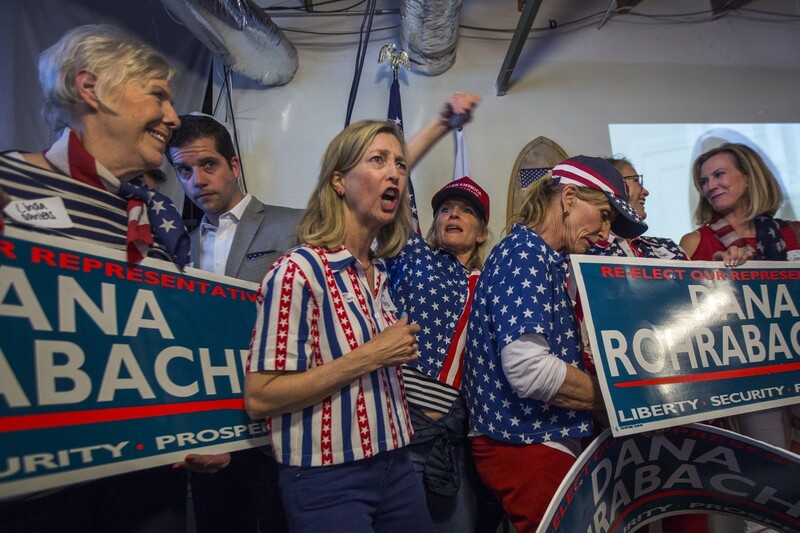 Supporters attend Dana Rohrabacher&apos;s primary election night party at his campaign headquarters on June 5th, 2018, in Costa Mesa, California. Do you believe Russia had a hand in meddling with the last election? A minor thing. We&apos;ve had certainly a much greater involvement trying to influence elections in their countries and in other countries around the world. We have [non-governmental organizations] NGOs that go there specifically to undermine local governments in different parts of the world. We&apos;ve got people who are going over specifically to change the policy of different governments concerning the environment, or social issues like sexual things with homosexuality or abortion and things like that. We got people who go over and that&apos;s been, at least during the Obama administration, that&apos;s been the agenda of paid people coming from our places and to NGOs to impact in getting their government to go in that direction. I&apos;d stop that. I wouldn&apos;t stop anybody who wants to go overseas and wants to impact the government over there, wherever it is. I wouldn&apos;t put any restriction on that. But having our government being involved in trying to correct the voters in other countries—I don&apos;t think that&apos;s a good thing for us to be doing. Unless we see that it&apos;s life and death and war, which would then, we should only be making sure people know we do not want to have war with someone. But I don&apos;t have a double standard for Russia. That&apos;s the most important element of this thing. When we do things that are wrong, we should recognize that they need to be corrected. When Russia does something wrong it needs to be corrected. But we don&apos;t ignore some of the things that we are doing and just focus on if Russia does the same thing. Anyway, I see, now, that Russia has come to a point where, with all its flaws, its democratic government is like Mayor [Richard] Daley&apos;s democratic government in Chicago. I don&apos;t know about New York, but Mayor Daley&apos;s regime was pretty damn corrupt and there are dead bodies involved with that regime as well. And they beat up demonstrators, and yet they were the legitimate government, and Russia does those same sort of things, but they are the legitimate government. We should try to promote them to and try to be an example of a better alternative and world standards. But, at the same time, we don&apos;t need to be at war with every country that doesn&apos;t meet our standards and we should not be trying to push for a new Cold War and just constant hostility toward Russia. That makes no sense to me at all. You&apos;re an anomaly in the GOP in that you have long supported the federal legalization of marijuana. I&apos;m the point guy on medical marijuana, actually I&apos;m point man on marijuana legalization. The current step is medical marijuana. Everybody knows the next step is legalizing it. Hey, these kids who are in the poor neighborhoods, they get arrested they end up with a criminal record at an early age. 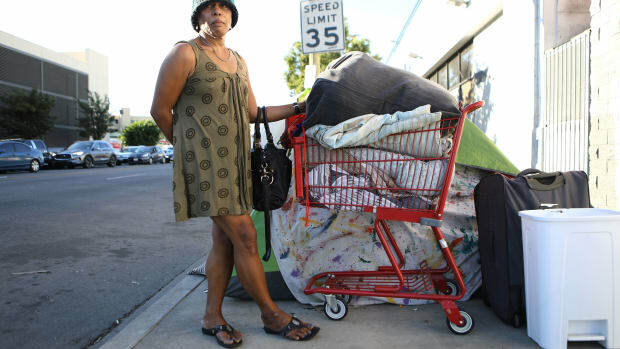 Anybody comes from this area [wealthy Orange County], if they are arrested with a little baggie of marijuana, they&apos;re visited right away by the lawyer hired from down the street and they&apos;re out and never spend a day in jail and it&apos;s expunged from their record. These poor kids in the poor areas, the rest of their life they&apos;ve got a criminal record. We have some of these same inequities we&apos;ve got to really deal with. Why do you think Attorney General Jeff Sessions is so opposed to the legalization of marijuana? Sessions is an old-line right-winger, I&apos;ve known Sessions since I was a kid. We were both in Young Americans for Freedom at the same time. In Young Americans for Freedom there was a big fight, this was back when we were 17, 18 years old. There were the traditionalists, like Sessions, and then there were the libertarians. And we were fighting it out back then. I like Jeff, but I think he&apos;s so close-minded on this issue. 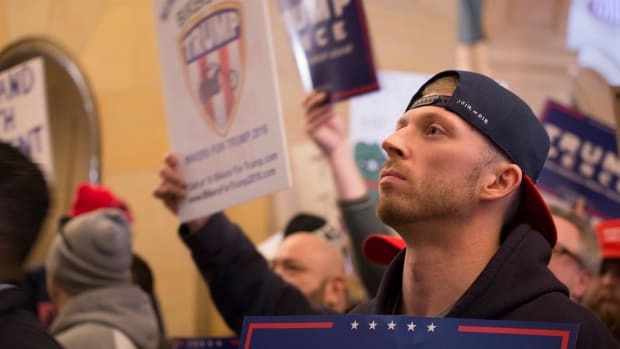 A lot of other conservatives who were with the traditionalists against the libertarians in the right wing came over [to our side]. And Sessions never moved over. And, if you believe in liberty, you believe in freedom, that our founding fathers talked about freedom, and liberty, and individual rights, and limited government, and not having a police state—the last thing they ever wanted was to have federal law enforcement in local areas, involving themselves as the [Drug Enforcement Agency] and all these people do now. I like Jeff. But, he&apos;s forgetting about the Tenth Amendment, which leaves it up to the states. On the idea of the federal government coming into your backyard, or your city or your state.... How do you feel about sanctuary cities? I think that any city that declares that they are a sanctuary for people who&apos;ve broken the law to come here, if they want to, they should go that route, but be denied any federal money for any federal program in their city. They&apos;re going to say, "We&apos;re not part of the program." Fine. Let them have as many illegal immigrants as they want, but they&apos;re not going to get one penny from the federal government. 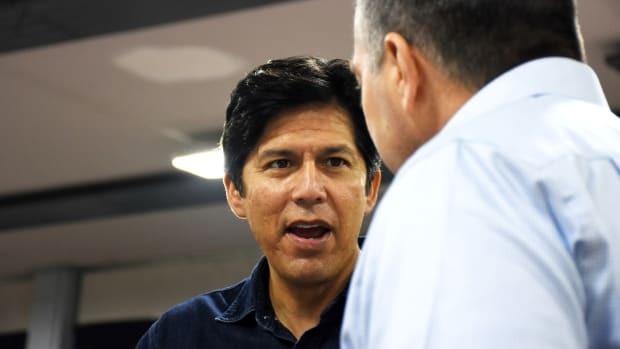 So, now that California has made say pot recreationally legal, would you still want federal funding cut off to California? The difference is, pot is an issue that doesn&apos;t cross borders. It is an issue that is right here, it&apos;s with us, in the community. But immigration is a federal issue. Consuming what we consume is not a federal issue. Right. They thought that was a good policy. At the time, I really didn&apos;t think one way or the other. But, as it turned out, it was such a disaster for our country, that I&apos;ve learned my lesson. Instead of having four million people, what we ended up with was legalizing 11 million, and we put out a welcome mat for another 10 million to come here. We were trying to get them out of the darkness, and into a legal situation so they can&apos;t be exploited, can&apos;t be mistreated. I certainly sympathize with that motive. But, we ended up with 20 million people. I think Reagan thought, "Oh, it&apos;s going to be four million, it&apos;ll never be more than that." Well, and if we have more amnesties? For example, they want us to give 800,000 young people now, legal status in our country? Dana Rohrabacher speaks to members of the media as he leaves a Republican conference meeting on June 7th, 2018, in Washington, D.C. Deferred Action for Childhood Arrivals? Yeah. Remember the trainloads of people coming up? We&apos;re at, now, 800,000? Well, do we want five or 10 million more? What&apos;s that going to do to our education system, or our health-care system? Ninety percent of them have to be really good and decent people. Maybe more. But, no: I&apos;m the elected official to represent the interests of the people I represent here. Not somebody from another country. I represent these people. And their interests are not to have another 10 million people coming here. So, what would you do with these 800,000 young kids? 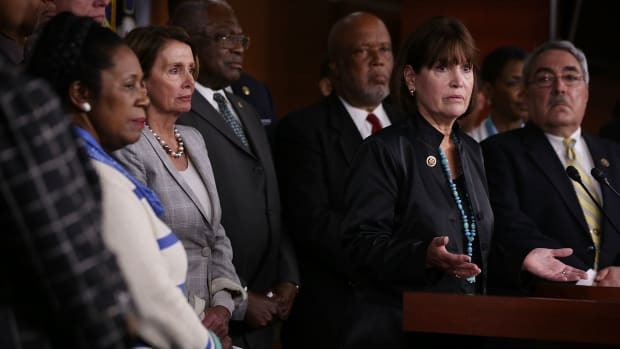 There&apos;s a couple of ideas, but, by and large, what I would do is, I would find out what their home country is and I would make sure they all got on the airplane headed home, or the bus, or the train. Now, there&apos;s some compromises that some people have offered. One compromise that I&apos;ve heard that&apos;s interesting—I&apos;m not saying I back it, but it&apos;s interesting, is the idea: "OK. So. What we&apos;re going to do, is we&apos;re going to say that this year...." You see, we permit a million legal immigrants into our country every year. It&apos;s more than the rest of the world combined. We have nothing to apologize for. Everybody else in the whole world does not equal what we permit to come into the country. So, one year, everybody that we legalize as a Dreamer will be basically brought in as legal immigrants, and that&apos;s the quota for that year. That means all the people who have been waiting in line, rather than cheating and trying to jump in line, are going to be hurt. And we&apos;re willing to step on their toes. And I think it&apos;s unfair to those people who have been waiting in line. But, maybe just to finish and get the issue done ... then they are here legally. However, they will be denied the right to become citizens for 20 years. They will be denied the right for family reunification. And there&apos;d have to be those kinds of restrictions. So, I&apos;m open to that compromise, if that is a compromise. Talk to me about climate change. There&apos;s many, many claims that have been made not just in the science community, but throughout, for everything, in order to justify global government. And that&apos;s what climate change is. Climate change is a maneuver by very powerful interest groups to create global government. What do you mean? The science data? Or the movement to do something about it? The science is bogus, and the movement itself is financed and directed by leaders who are seeking global government. When you say the science is bogus, do you really believe that 99.99 percent of climate scientists are in on something? Those scientists are looking for research grants. 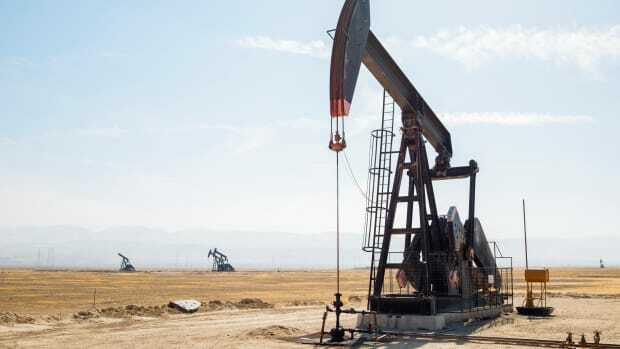 And you will find very prominent scientists who used to receive the regular grants for various issues, who have been cut off, because they are now not toeing the line on global warming. By the way, a lot of what they call "global climate change scientists"—you see what their science is. This is really funny, actually. People are saying so many percentage of the scientists who&apos;ve done global warming research, or climate change research. ... A lot of the climate change research is nothing more than a scientist being given a million-dollar grant in order to tell us, How will the increase in the temperature impact on the reproductive habits of wild animals, or something like that. And it goes right down the line. How will this temperature change affect this, this, and this. Well, that&apos;s not climate change research. ... That is nothing but taking calculations, and studying the reproductive habits, and saying, "If it&apos;s going to be warmer, what would habits be?" That doesn&apos;t prove any climate change at all. And a significant number of the so-called climate change research projects are nothing more than that. They have nothing to do with actually proving that climate change is caused by human activity. What I think is we may well be getting warmer. Or, we could be getting cooler. I don&apos;t know. We have these long-term trends throughout the history of this planet, which is over a million years old now. This isn&apos;t just 20 or 100 years, like we&apos;re dealing with all this supposed research. No. We can calculate that out, yeah. But what you have to do is say: "Is this increase in temperature, is it part of a cycle? Or, is it being caused by human behavior?" If you say it&apos;s caused by human behavior, that gives you the right to control human behavior, and to control people&apos;s lives. And to structure it for them, so that that doesn&apos;t happen. Well, I believe that there&apos;s climate changes going on. I don&apos;t believe it&apos;s caused by human behavior. Is it caused, or helped, by human behavior? A tiny fraction of it. A tiny bit of what goes on. Let me use an example. You had ice all the way down to Texas. 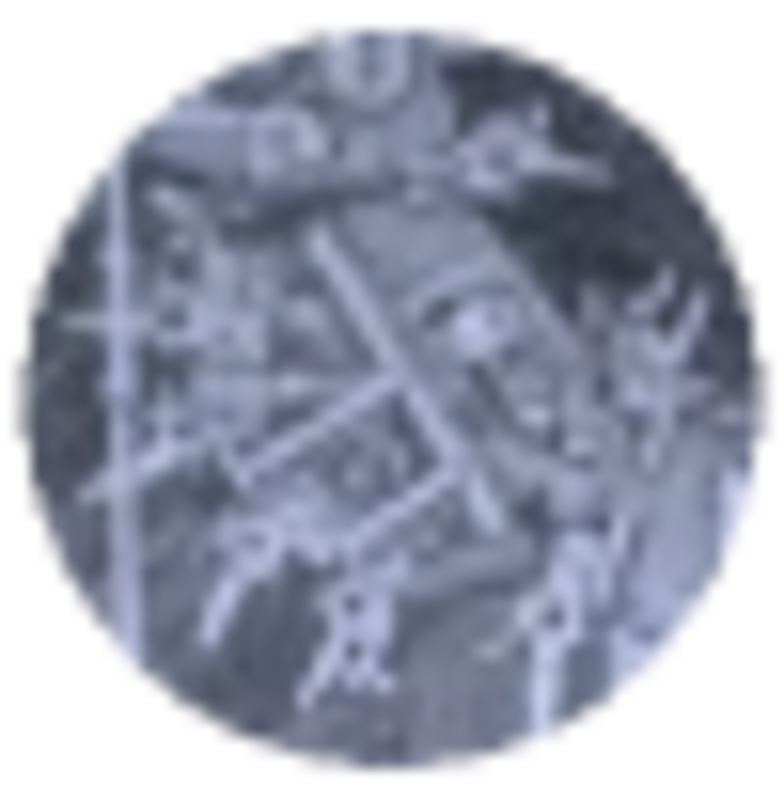 Huge ice things in the past, in the history of this world. And now, they&apos;re way up into Canada, and up in that area in the Arctic. There was no human behavior involved in that at all. In fact, there was a recent study, which was interesting, to say that back in what they call the medieval warming period, that it actually got hotter than it is now. Well, if that&apos;s the case, how is that possible, after we&apos;ve had so much CO2 in the air? I just think that mankind is not responsible for this, and the scientists have not been going to the heart of the issue, which is proving that mankind is impacting the global warming and that the global warming&apos;s actually taking place. Most of these studies have been focused on other elements that have nothing to do with the heart of the issue. And, by the way, those scientists get very big research grants. What I believe is the major impact on why we have had these cycles throughout the history of the world is because of sun spots, and solar activity. And you can see on other planets, where they have had different changes going on in their climate. I remember Arnold [Schwarzenegger]—I supported Arnold in the beginning, and he got hooked up in this [climate] thing, and so we had a breaking of our ways. We didn&apos;t dislike each other, but we really seriously disagree. And he was in Washington. He walked by me and I said, "Arnold, did you see about how the ice caps are retreating?" And he said, "Oh, yes, Dana, but I didn&apos;t think that you would be paying attention to that." I said, "Arnold, I&apos;m talking about the ice caps on Mars." Do you believe it&apos;s human activities and CO2 that&apos;s causing the planet&apos;s crust to be warmer, or hotter, or cooler? 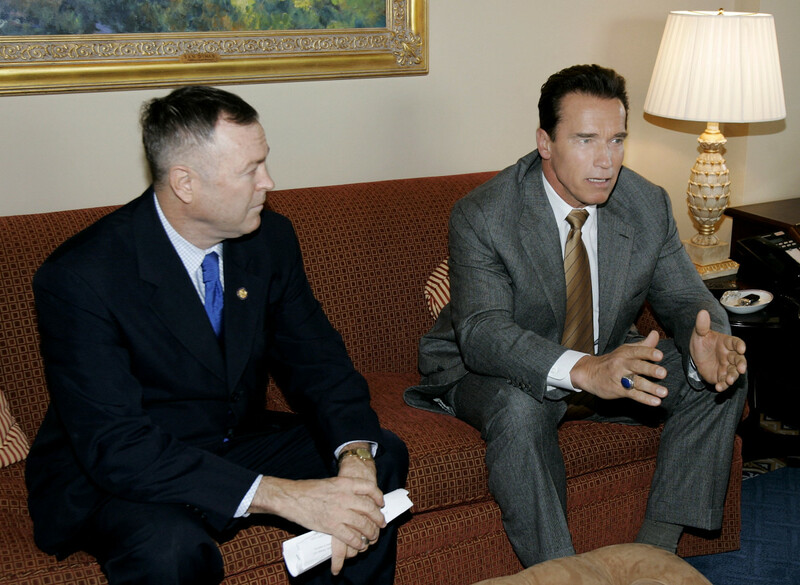 Arnold Schwarzenegger and Dana Rohrabacher meet with members of Congress on February 17th, 2005, in Washington, D.C. They don&apos;t. You&apos;ve been told that. That&apos;s a total fraud. They don&apos;t. A lot of the ones that are counted as scientists are people who are making calculations that have nothing to do with the cause of global warming at all. And if they say, "Yes, the life of the squirrels is going to be dramatically changed if the planet heats up," that is not a verification that global warming is caused by humankind. Only a few of those 90 percent of the scientists who are claiming that have any credentials on the issue. You might as well go to an engineer or go to a baseball player or something. How do you feel about Congress right now? And President Trump for that matter? It&apos;s a rough moment for our country, regardless of your feelings about the president. There&apos;s an ugliness here. I was not a Trump guy in the primaries. I was a [Ted] Cruz guy, and I was for Cruz for one major reason: Trump and Cruz actually have very similar positions, but Cruz was proper. And, in fact, he was too proper. He was a lecturer. He was the schoolteacher. We&apos;d go with him, and he&apos;d be lecturing to the people there, and he was very sophisticated that way. All the other people who we see in American politics at the presidential level, at least since Reagan, but I think it was going on way before then, I think even Lyndon Johnson and John Kennedy, and even [Richard] Nixon—they had a professional, sophisticated mannerism. Trump, of course, is boisterous and in-your-face, and has a totally different way of handling himself personally. I really rejected that. As do most of my conservative friends. I managed to get over that, because I managed to come to the realization that I&apos;m looking for substance, not style. And while Trump&apos;s style originally was very obnoxious to me, I have learned to basically say, this is a guy trying to communicate with working people who never did like these other people that I liked. This is the same guy who went to Saudi Arabia. They financed 9/11. We left Afghanistan. After the Soviets left, we left. And we left it with Pakistan and Saudi Arabia. Guess what? The two most extremist countries in the world. If there&apos;s anybody who bears any blame for radical Islamic terrorism, it&apos;s those two countries. And so that ends up with 9/11. Anyway, when he went to Saudi Arabia he had a meeting with all of these leaders from that part of the world, the Sunnis. And what did he do? He said—and this was the first time any American president has said this—"If you want to be friends with the United States, and we&apos;re going to have a peaceful world, you&apos;re going to have to drive the terrorists out of your mosques." And he said it a couple of times. That&apos;s great that we have a president who says that. And it&apos;s great that we have a president that goes to the [United Nations] and says: "You know, these other things in Venezuela and everywhere, that&apos;s not a failure of socialism. That&apos;s socialism." It wasn&apos;t since Reagan that we had anybody saying anything like that. So I like Trump now. How about comments that he&apos;s made about people? It&apos;s hard to stomach some of those things, regardless of politics. He&apos;s not a perfect guy. Ross Ufberg is a writer and translator in Los Angeles, and co-founder of New Vessel Press, a publishing house dedicated to works in translation. New research finds the president's earliest and strongest followers embody a particularly belligerent strain of authoritarian thinking.